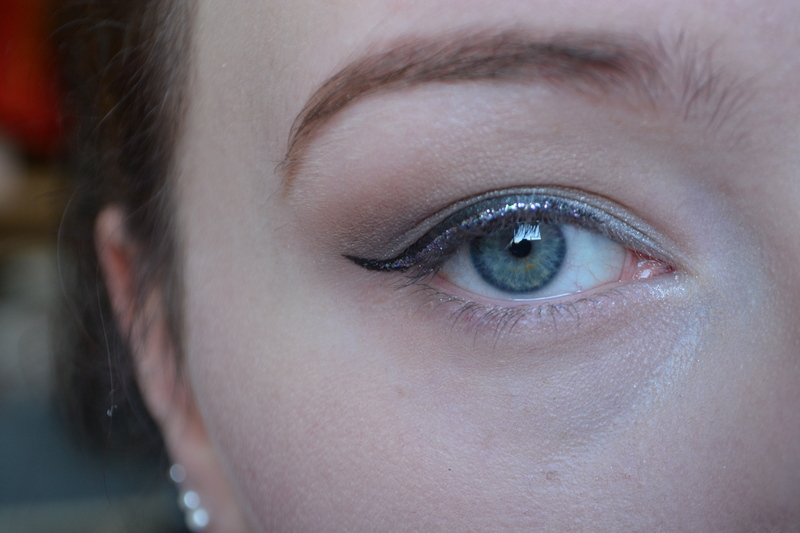 Glam eyes NYE look 2014! Hello everyone! 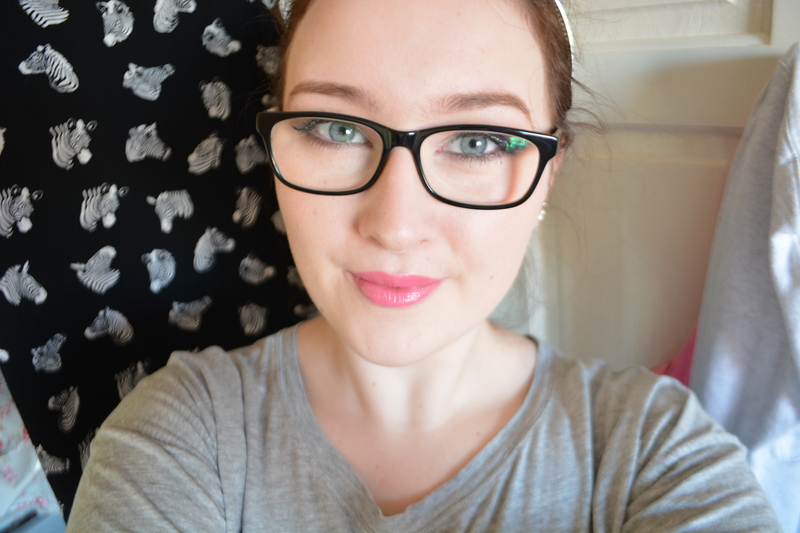 Today I am going to show you the make up that I will be wearing to end 2014 and start 2015! I’m not quite sure who’s party I am going to but I know I am going to one so the make up has got to be top notch. After doing my usual skin care routine I mixed my MAC BB cream and L’oreal true match foundation, both in the lightest colour, and applied that to my face with the Real Techniques face sponge thing. I am really loving this foundation routine at the moment, it makes my face look so healthy and gives just the right amount of coverage. Then I use my collection lasting perfection concealer to cover my under eyes and highlight my cheekbones, cupids bow, bridge of my nose and just in between my eyebrows. I blended this out with the same sponge and then went over with a teeny tiny bit of the Rimmel clear complexion face powder. 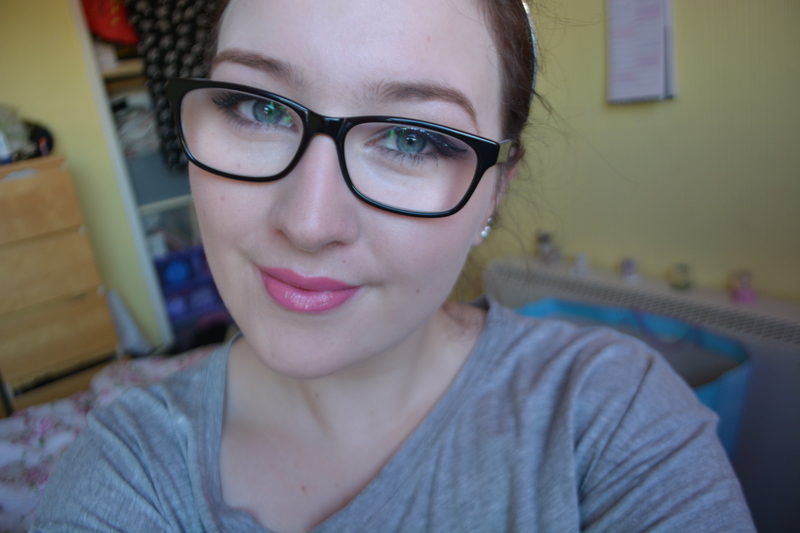 Then I used my Bourjois chocolate bronzer (surprise, surprise!) to contour, my new estee lauder blush in “plush petal” and my MAC mineralised skin finish in “lightscapade” to finish my face make up. I then did my normal eyebrow routine, which I do kinda wanna change up, before moving onto my eyes. And because I’m an idiot I accidentally deleted all of the pictures of my make up apart from my eyes and full face, so unfortunately there are none along the way, apologies. After applying my nars smudgeproof eyeshadow primer I grabbed my random MUA face powder and just swiped that over top to make blending easier. I also used some sellotape on the outer edge of my eye out towards my eyebrow to make it even easier. 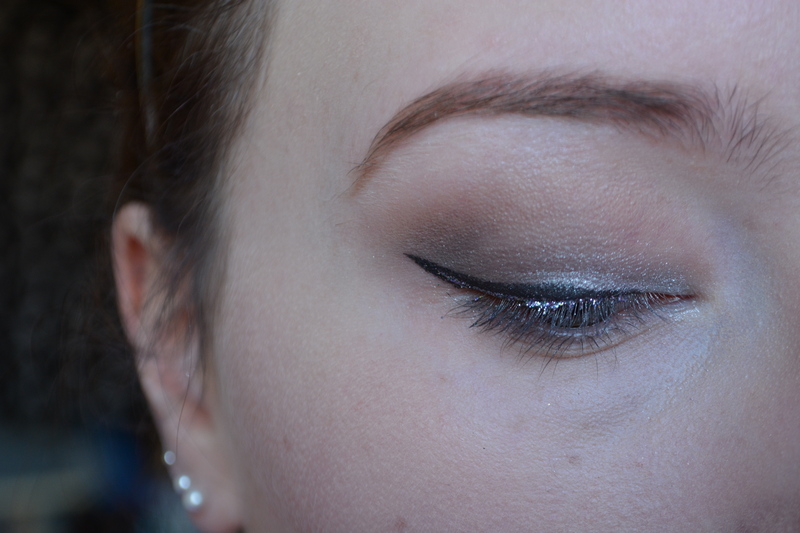 I started with the “naked 2” shadow from the naked basics palette and used that in and above my crease. I then whipped out my smoked palette by Urban Decay and went in with “backdoor” in my crease to deepen that up a little bit. 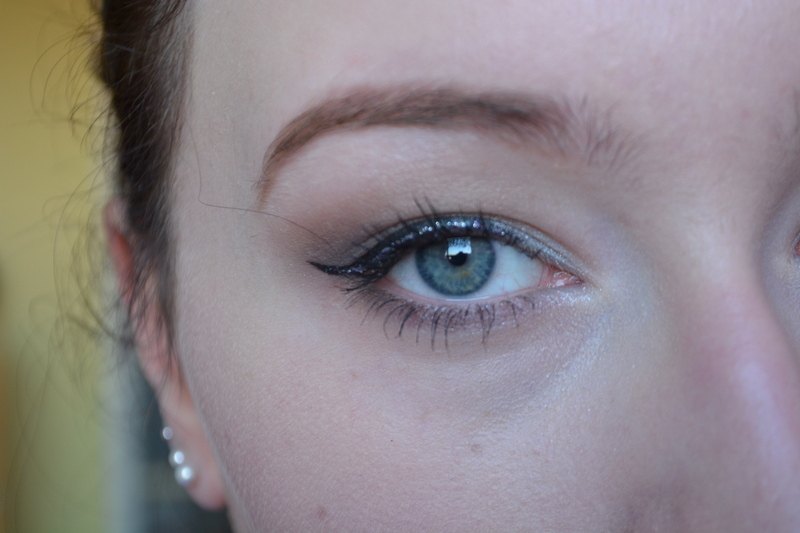 To exaggerate that even more I used “blackout” and put that in my outer corner too. I then used my L’oreal eyeshadow in “real silver” just on my eyelid and then used a clean (ish) blending brush to soften the edges. To blend that in to the outer corner I just used “mushroom” from the smoked palette as it is a dark shimmery sliver and gives such a smooth transition! I then used “venus” from the naked basics palette on the brow bone and “backdoor” again underneath the eyes and then that was it for the shadow! After ripping off the sellotape (okay I wasn’t that violent) I used my maybelline black gel liner to create quite a thick winged liner so that I could go over the top with my collection glam eyes (see what I did there??) liner in “hustle”. I also kinda missed and coated my lashes too. It annoys me how dull this looks. I am going out in the day time in a sparkly as hell smokey eye and my camera is like sorry nope. FIRST WORLD PROBLEMS. Anyhoo then I added some of the maybelline rocket mascara to finish it off! I really love this mascara and because I got the waterproof one it doesn’t just decide to come off during the day (win!) however it is so difficult to take off. So, moving on to the lips I took the Max Factor lipstick in “midnight mauve” around the edges of my lips and in the outer corners and then filled the rest in with the collection deluxe lipstick in “speak easy”. 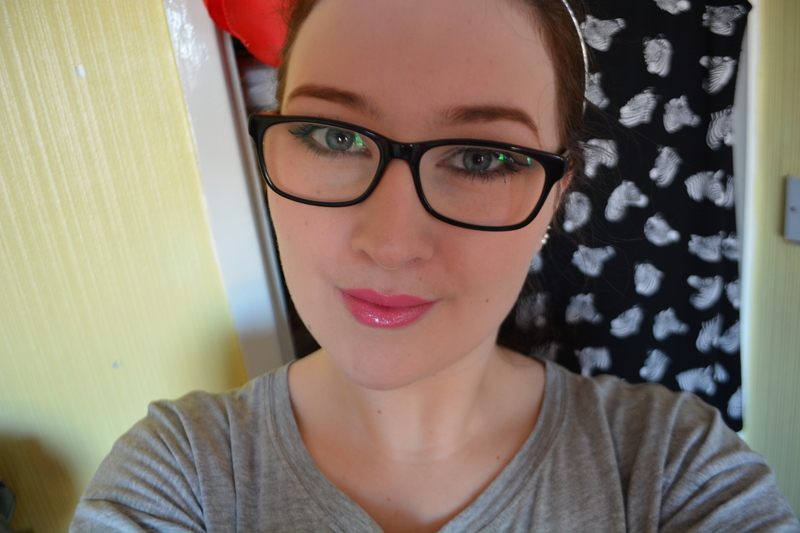 To top it off I used my Tanya Burr lip gloss in “Aurora” et voila! 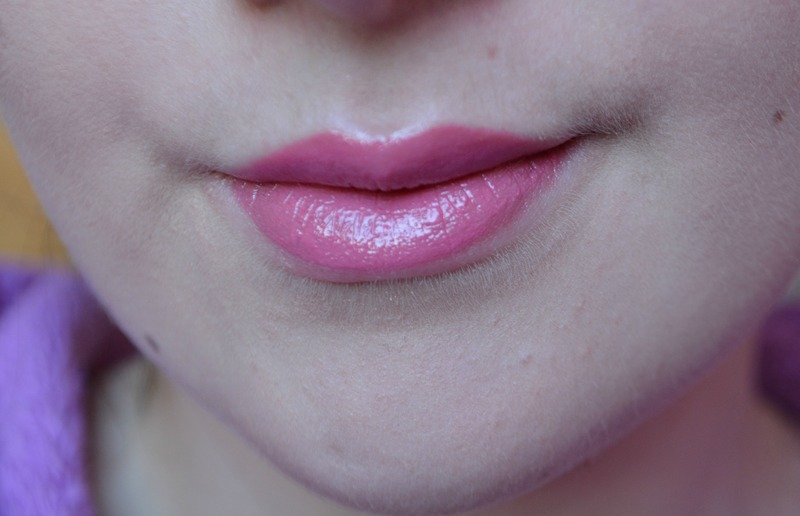 Literally the most subtle thing known to man but I feel like my lips look a little bit nicer. I always feel like my make up doesn’t look how it does in person so I took three pictures in different lighting so hopefully you can see how the make up looks! It was also super difficult to try and pull the exact same face. Okey dokes so this is the make up I will be wearing on New Years Eve! I hope you enjoyed this post and have an amazing time. Please stay safe and I will talk to you in the new year! Good bye for now little buns! That is such a beautiful look! You look beautiful! 🙂 xo I really love that lip color as well!